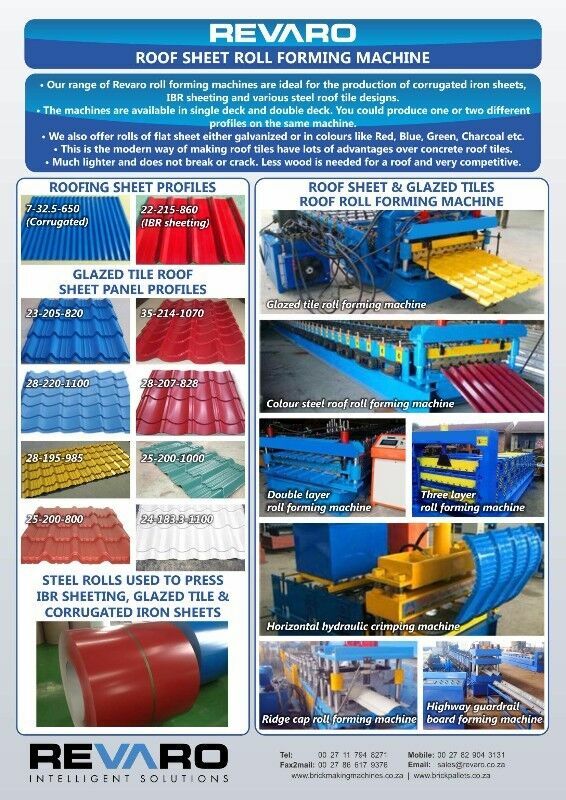 Hi, I’m interested in Corrugated Iron, IBR and Roof tile roll forming machune. Please contact me. Thanks! Available in Aluminium and cast iron SAP No.0185253 5-16mm cond. dia. 2U bolts Aluminium 0.78kg 5-21mm cond. dia. 3U bolts Aluminium 1.19kg 5-16mm cond. dia. 3U bolts Cast iron 1.90kg 8-18mm cond. dia. 2/3U bolts Cast iron 2.58kg 16-22mm cond. dia. 3U bolts Cast iron 3.86kg 19-30mm cond. dia. 3U bolts Cast iron 4.86kg All malleable cast iron clamps are hot dip galvanised.